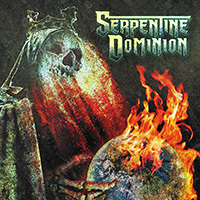 Imagine Killswitch Engage at their heaviest, with the immediately recognizable guitar playing of Adam Dutkiewicz, the precision drumming of former The Black Dahlia Murder member Shannon Lucas, and the legendary death metal growl of Cannibal Corpse‘s George “Corpsegrinder” Fisher – the result is Serpentine Dominion. 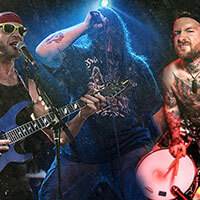 After 7 years in the making, this highly anticipated project will finally be releasing their self-titled debut on October 28th via Metal Blade Records. 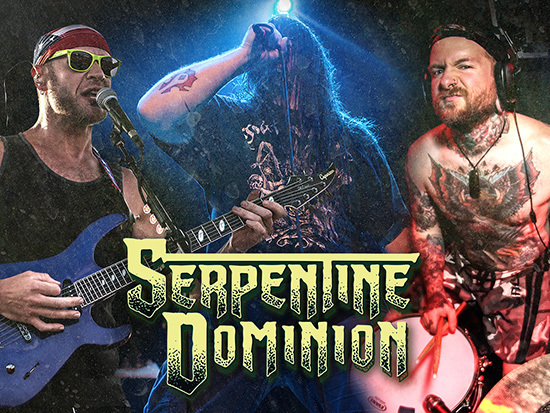 The origins of Serpentine Dominion can be traced back to 2009′s Rockstar Energy Drink Mayhem Festival, which boasted a line-up that included Killswitch Engage, Cannibal Corpse, and The Black Dahlia Murder. 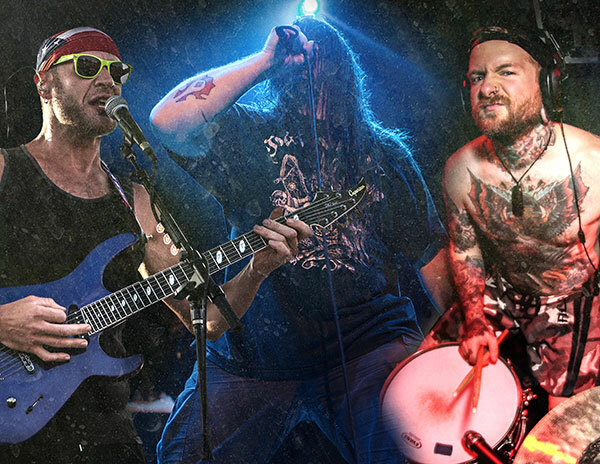 During that fateful summer, Killswitch Engage guitarist Adam Dutkiewicz made a proposition to Cannibal Corpse vocalist George “Corpsegrinder” Fisher: “George, I want to write you a record.” On the Mayhem Fest tour, Shannon Lucas, who performed with The Black Dahlia Murder through 2012, was tapped to record drums on the album. Between 2009 and 2016, Cannibal Corpse and Killswitch Engage released three albums each, so scheduling time to work on Serpentine Dominion was no easy feat – but when their rigorous schedules allowed, Serpentine Dominion began to come together, with Killswitch Engage vocalist Jesse Leach penning the lyrics, which touch on corruption within the government, religion, big business, and other timely issues. Ultimately, though, this debut is a pure passion project; it was written and recorded simply for why musicians get into music in the first place: fun.